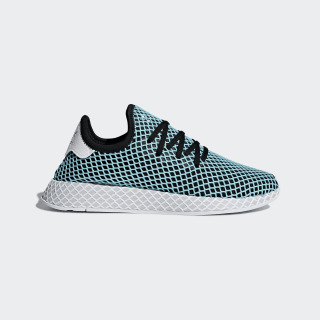 Minimalist, ultra-modern shoes featuring yarn made from Parley Ocean Plastic™. 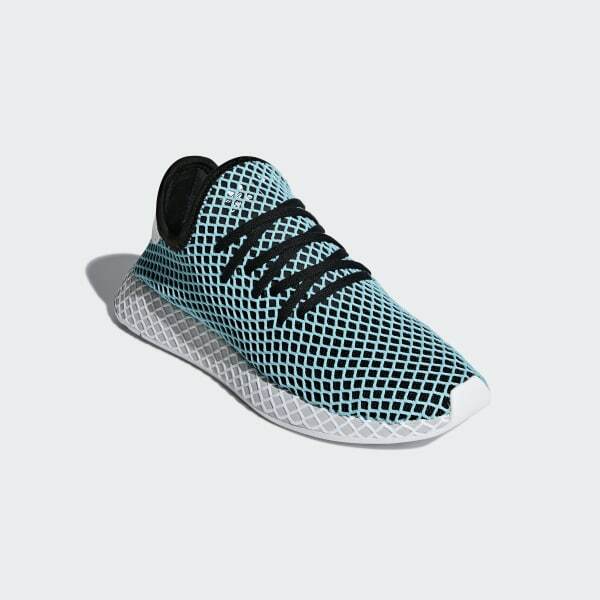 Deerupt is disruptively simple proof that minimalism can be bold. These lightweight trainers put an innovative spin on adidas running heritage of the '80s. The ultra-flexible knit upper is covered in webbing that provides support and hugs your foot. Inside, zoned cushioning gives a soft, comfortable step-in feel. adidas is dedicated to creating products in ways that minimise their environmental impact. This product is created with yarn made in collaboration with Parley for the Oceans. Some of the yarn features Parley Ocean Plastic™ which is made from recycled waste, intercepted from beaches and coastal communities before it reaches the ocean.